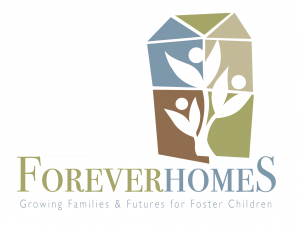 Forever Homes is a 501(c)(3) non-profit agency that helps facilitate adoption for children in the foster care system. This long distance client had a big dream and limited resources. They needed a no-nonsense brand identity that would help them launch their organization and last a long time. The client wanted a warm and friendly design that would help them tell their story quickly and effectively. In an industry space that is known for cold, governmental red tape, they wanted a welcoming design that would make their clients feel hopeful. Using a contemporary abstract design for the house made a perfect backdrop for the organic people shapes. The leafy design approach for the people suggests a growing and unifying family developing within the home. Knowing that somewhere there are children being tucked in at night in a safe forever home.